LEARN MORE ABOUT OUR SONGWRITER SERIES! Let Puckett’s do all the cookin’ for you! Whether you’re hosting a private party in our restaurant or letting us bring Puckett’s to you, we’ll make your next event shine with home-cooked food, expert staff and Southern service. Mason jars, t-shirts, hats and edibles too…. 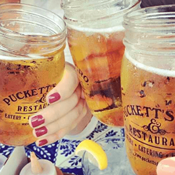 you can always have a little Puckett’s with you! 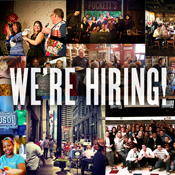 Click here to buy a gift card or shop Puckett’s products. Our sauces, marinades and spices are exactly what we use in the restaurant! 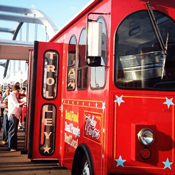 We’re passionate about good food, live music and Southern hospitality. Share those loves? Maybe you should become part of the Puckett’s family. Who’s On Stage Tonight At Puckett’s?